ServedBy the Net is a Cloud Service Provider specializing in Infrastructure as a Service. We align with our clients to enhance their existing IT Infrastructure and provide staff with the essential tools necessary for success. We consistently provide quality, performance, and flexibility, so that your journey to the cloud remains uncomplicated. Serving Clouds from Seattle ® - Since 2011, our headquarters are located in Seattle, WA. ServedBy provides Cloud Infrastructure & Services through many regional sites. The ServedBy cloud is operated on our own equipment through our own networks. We provide the reliable, scalable, and on-demand virtual infrastructure to meet the needs of today as well as tomorrow. ServedBy has aligned with many industry leader's so that we can provide highly adaptive solutions. Whether you're in need of a custom OS template or a direct interconnection from your data-center, we're ready. 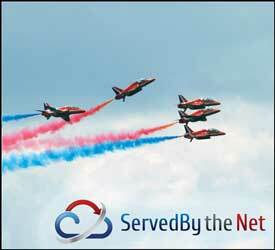 As a Cloud Service Provider, ServedBy the Net specializes in providing cloud services. Our company remains focused on the cloud & critical-infrastructure, which provides our customers with quality solutions, so they can focus on the business which is important to them. ServedBy the Net, LLC founded.